Coffee is like the nectar of the Gods in my house so I am always looking for ways to reuse coffee grounds around the house. We have a pot in the morning to get us moving and fueled for the day. Then we hit that afternoon slump around 3 PM and I make another small pot just so I have enough energy to make dinner and deal with after school activities. Sound familiar? I bet a lot of you are just as addicted to that caffeinated goodness as I am. As a result of my frequent coffee consumption, I am left with a LOT of old coffee grounds. 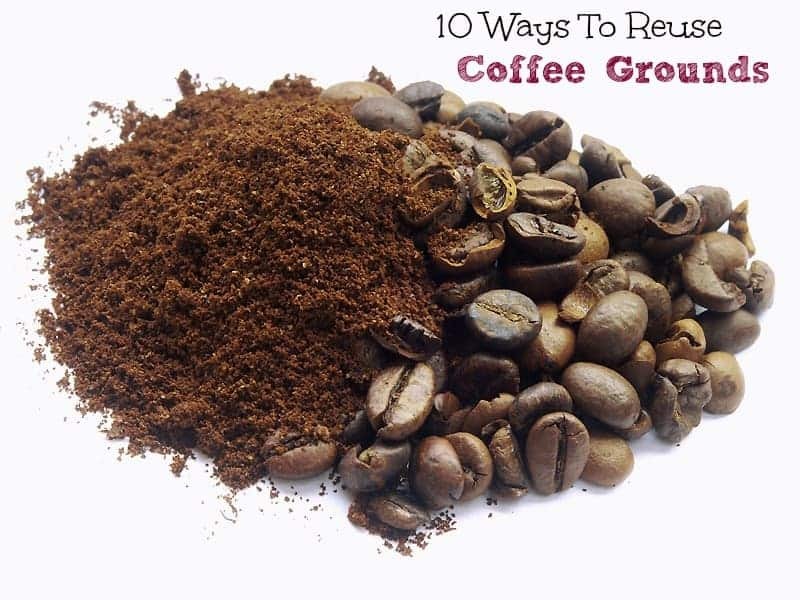 Instead of throwing them away, here are a few ways to reuse coffee grounds around the house. Check out my post on choosing sustainable coffee companies before you shop for your next bag of bean! 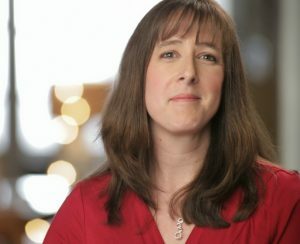 While you could always reuse coffee grounds to make another cup of coffee, it isn’t always quite a tasty. 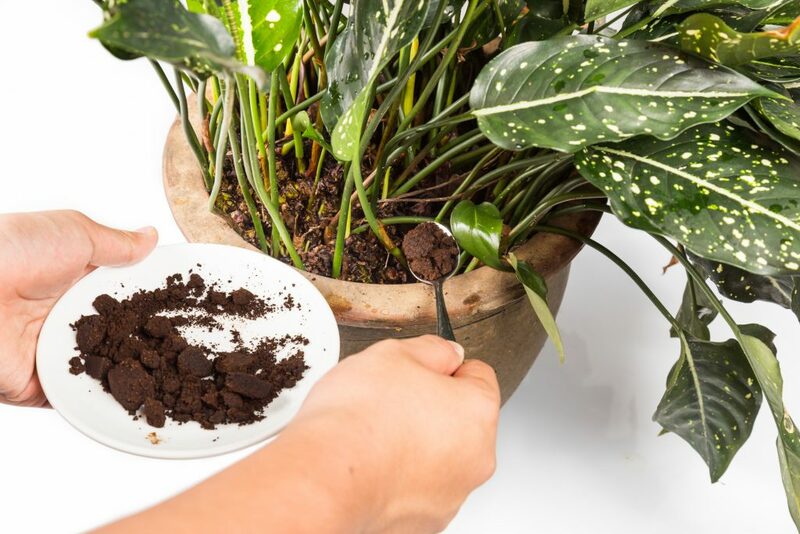 Here are a few ways to reuse coffee grounds around the house that won’t leave you feeling unsatisfied! 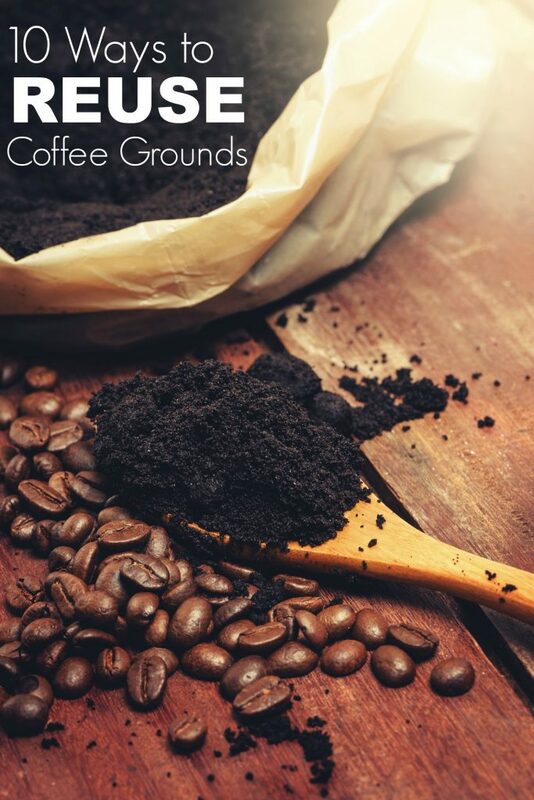 There are many ways to reuse coffee grounds in the garden. Mixed into the soil, used coffee grounds make a great fertilizer for your plants. Sprinkled directly underneath your garden plant and they make a wonderful deterrent against snails, ants, caterpillars and other creepy crawlies that want to eat those succulent leaves. Coffee grounds are a favorite food of earthworms so if you have a worm composter make sure you add your old coffee grounds to it. Place your used coffee grounds into an open topped container and place it in the refrigerator. The coffee grounds will absorb odors from your fridge just like baking soda does. Used coffee grounds make a great way to create a natural light brown dye. You can soak your used coffee grounds in hot water, strain the grounds out, and use the resulting water to dye paper, Easter eggs, feathers, cloth, and other assorted household items. Coffee is actually good for the skin. 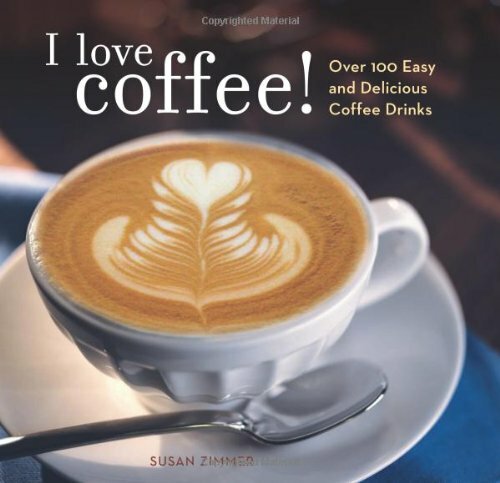 There are some studies that show caffeine may inhibit certain types of skin cancer. 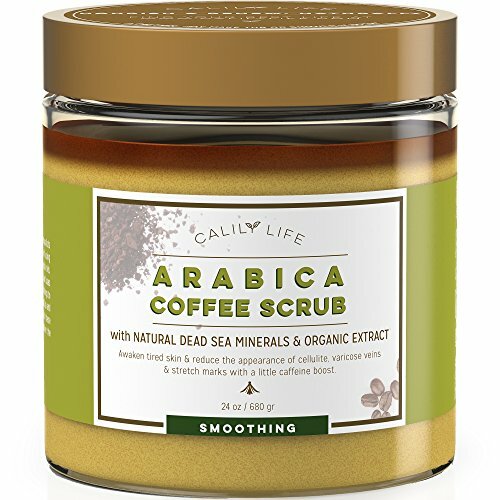 You can make Coffee and Brown Sugar Shea Butter Scrub or homemade soap or even include coffee grounds in homemade candles. Put your homemade candles in a candle holder made from upcycled coffee mugs! Coffee grounds make a great scrub to remove stuck on food from pots and pans. 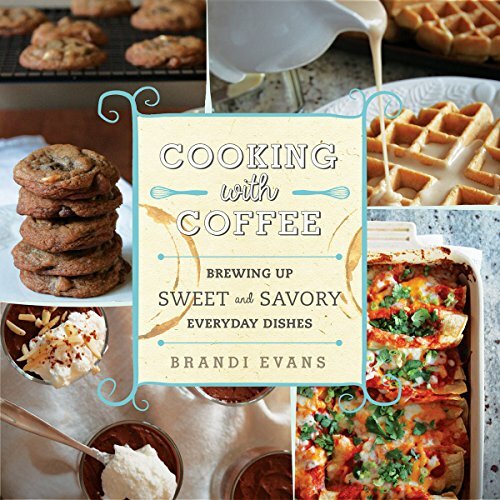 Just grab a sponge, add a dollop of dish soap and place your used coffee grounds in your pot. Scrub away for shiny pots and pans! Sound crazy? After bathing your dog, rub a few handfuls of coffee grounds into his fur and rinse well. It will kill fleas and leave his coat nice and soft! Has your child smashed his matchbox car into your coffee table and left a scratch? Just mix 1 tablespoon of coffee grounds with 1 teaspoon of olive oil. Apply this mixture with a cotton swab or cotton ball and wipe dry. Make sure you test this in an inconspicuous area first just in case. 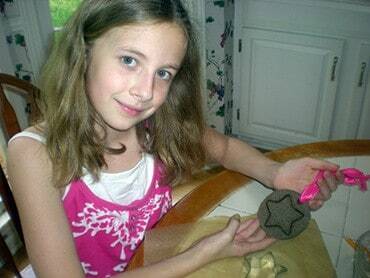 Used coffee ground mixed with a bit of flour and water can make a great kids craft. Just roll it out and use cookie cutters, items from nature, or just your fingers to create coffee ground fossils. 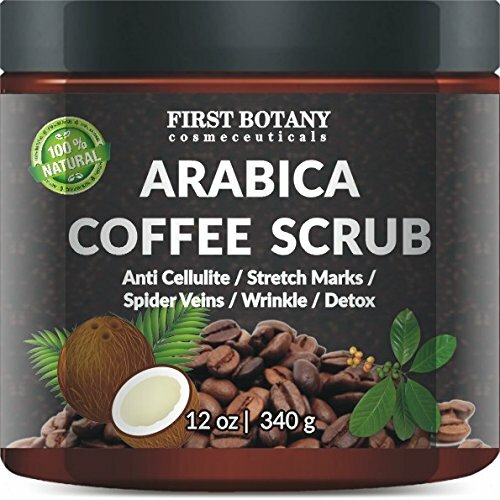 Coffee grounds have natural astringent and antioxidant properties which make it great for your skin. 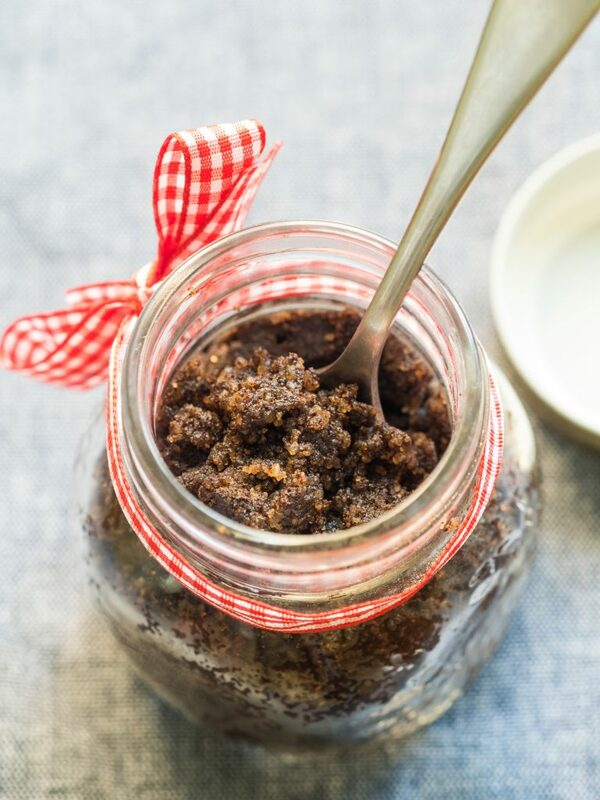 Just add used coffee grounds to a small amount of milk to make a relatively thick paste. Gently scrub it on your face while it is still damp after washing. Let sit for a minute or two and rinse with warm water. 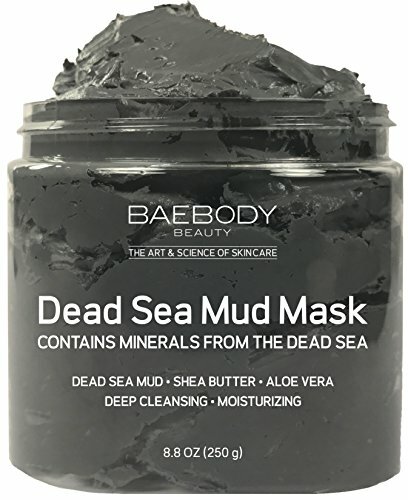 Gently pat dry and your face will thank you for the extra attention! Sprinkle coffee grounds on fireplace ashes before cleaning out the fireplace to reduce the spread of dust. 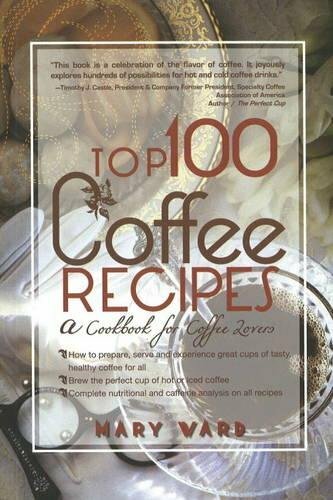 NOTE: If you aren’t a coffee drinker but want to try some of these ideas check with your local coffee shop. Most of them will happily hand you all the coffee grounds you could possibly need! How do YOU reuse coffee grounds around the house?